Just print the pages. Laminate the cards so you can use them year to year. 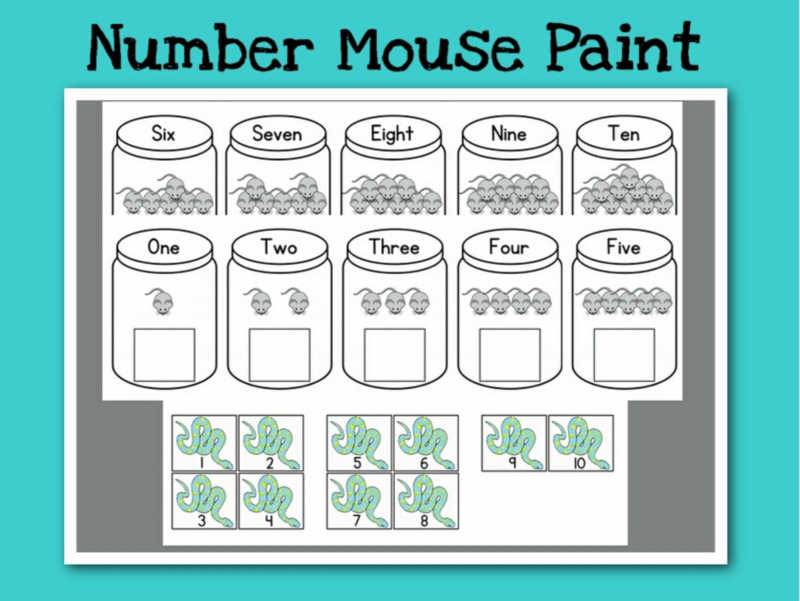 Cut the snake cards on the black line and your students can start playing this game today! 1.) Written Instructions on how to make and play the tabletop game. 2.) The picture above as a reference. 3.) 10 full page, full color, mice in jar cards. 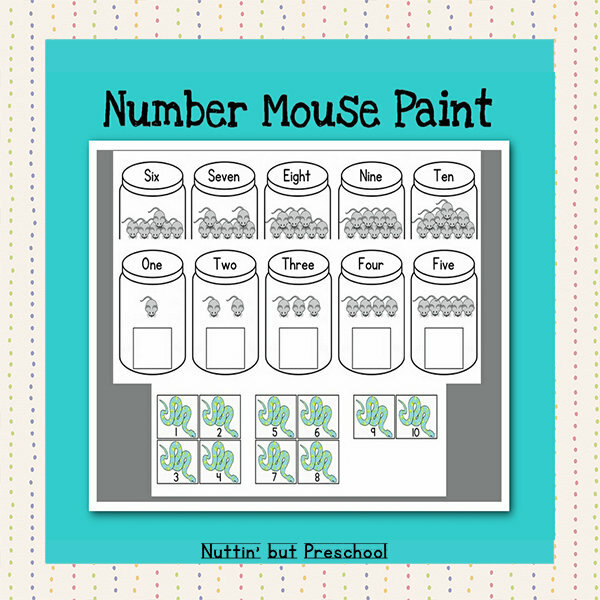 The set includes the numbers 1-10 with the correct corresponding mice in jars and the number written out on the cap. 4.) 3 full color snake cards with the numerals 1-10 written on them. I use Paypal to accept payments. All payments are directed and processed through the Paypal site, not by me. They have teams of people in place to keep your payment information safe and secure.